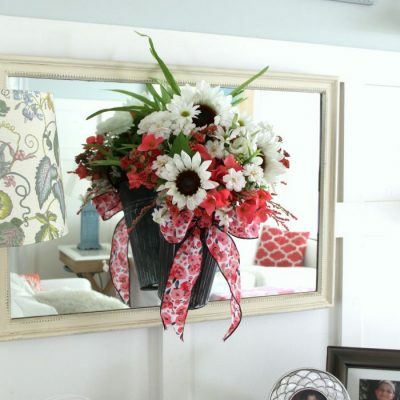 Coral colors and gorgeous big sunflowers just scream summer to me. 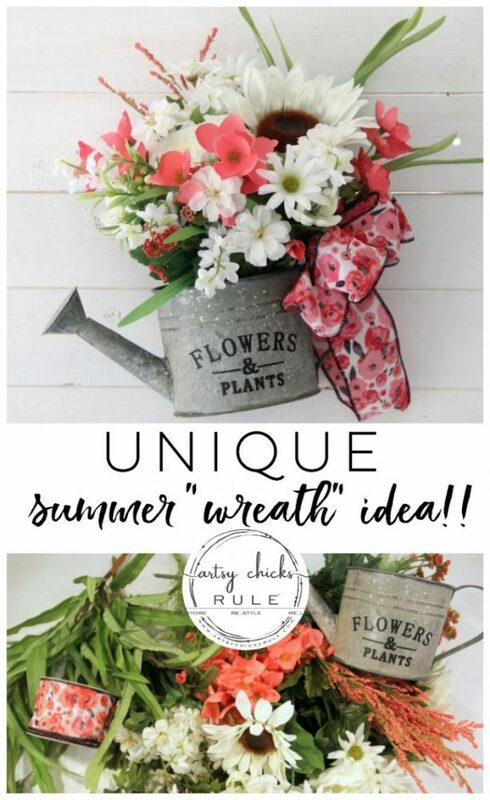 Throw them together into a watering can and you have a fun and unique summer wreath idea! Hello friends! I’m so happy the warm weather is here to stay…finally! Sunny days and pretty blue skies, although, I think “April showers” hit us in May. ;) It’s been nothing but overcast and rain for about 2 weeks, it feels like. No sunshine? No problem, I’ll just make something happy and summer-like to get me through, right? Let me start by saying, I am a crafty, artsy, creative girl but I never was one who considered myself a “wreath maker”. That was not something I really ventured into doing until I started the blog. Out of all the crafty, creative things I’ve had my hands into in my life, that was not one of them. 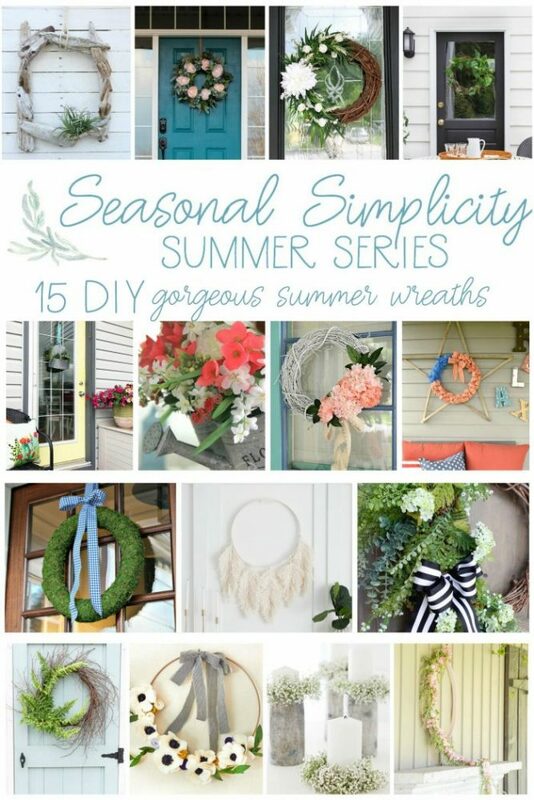 Actually, I think all of the wreaths turned out pretty decent, here on the blog. So, since these were all mostly traditional style wreaths, I thought I’d mix it up and do something a little quirky for this one instead. 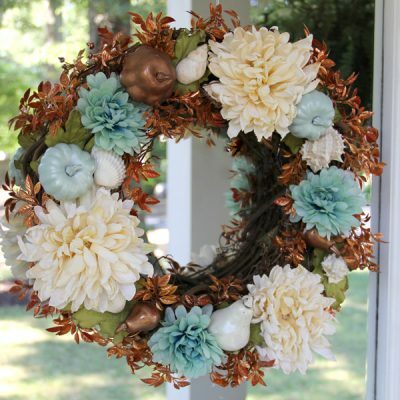 A unique summer wreath idea that I think will be fun to hang…or even just display. I started out with these supplies I picked up at Michael’s. I knew I wanted something a bit different so I was really happy to find the watering can. I could just envision filling it with wildflowers for a really unique summer wreath idea! Most of the “wildflower” types of flowers were purple, yellow, etc, and I wanted something a bit less colorful. But I still wanted it to feel summery. 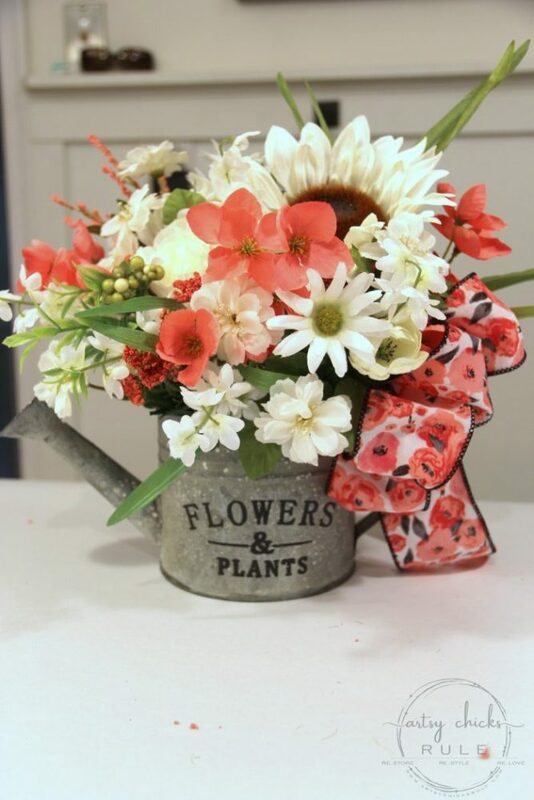 The coral and white colored flowers along with the white sunflowers and pretty coral ribbon I found were exactly what I had in mind. 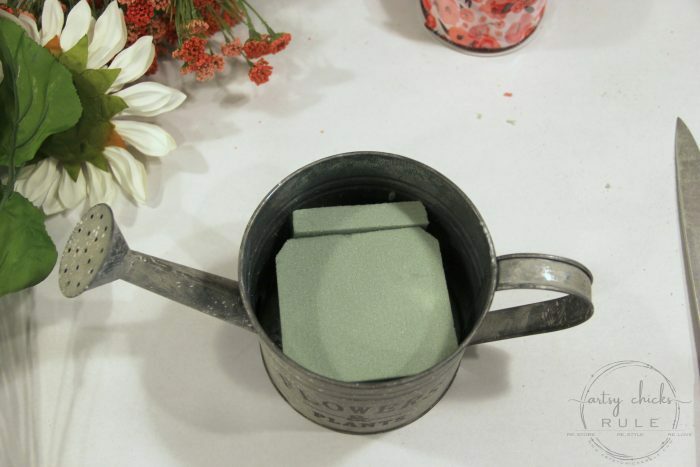 Since I was using a vessel, this watering can, I used floral foam in the bottom to secure the stems. I didn’t cut it large enough so instead of cutting a whole new piece, I just added another smaller piece to secure it. Then I just started adding flowers. I have a hard time photographing this part since I kind of just go with the flow as it comes to me. A little here and there, etc. But that’s really all it is. Add a stem or two, add more, don’t love that, remove it and go again until you do. 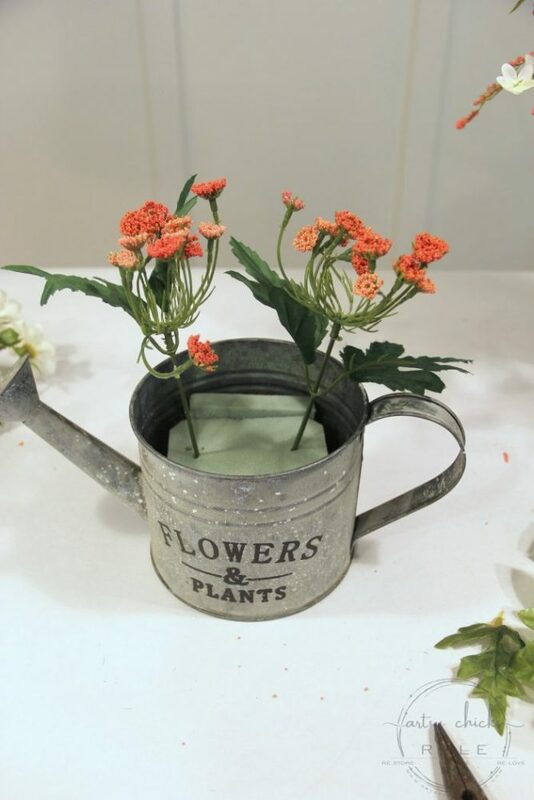 And you can’t really go wrong with this somewhat “wildflower” look because you sort of want it to look like an informal gathered bunch of flowers. 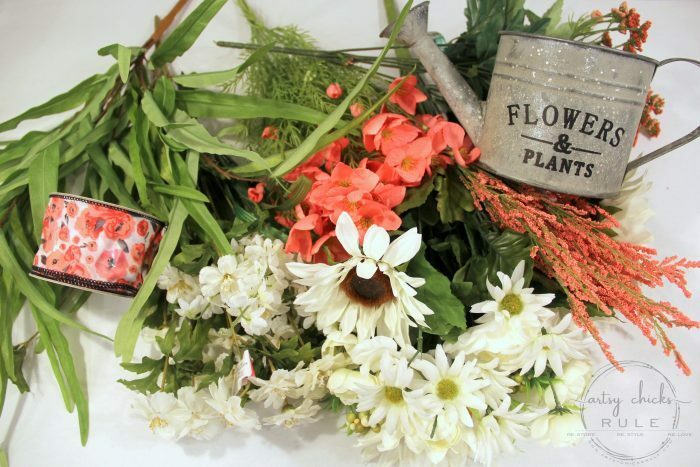 Then I added a sprig or two of the coral …sprigs ;) … and another big white flower in the middle, finishing up with the big, pretty, white sunflower, which I just love! The final touch? A pretty coral colored bow. I just wing it when it comes to bows. This one was basic and simple. Doesn’t this just say summer? 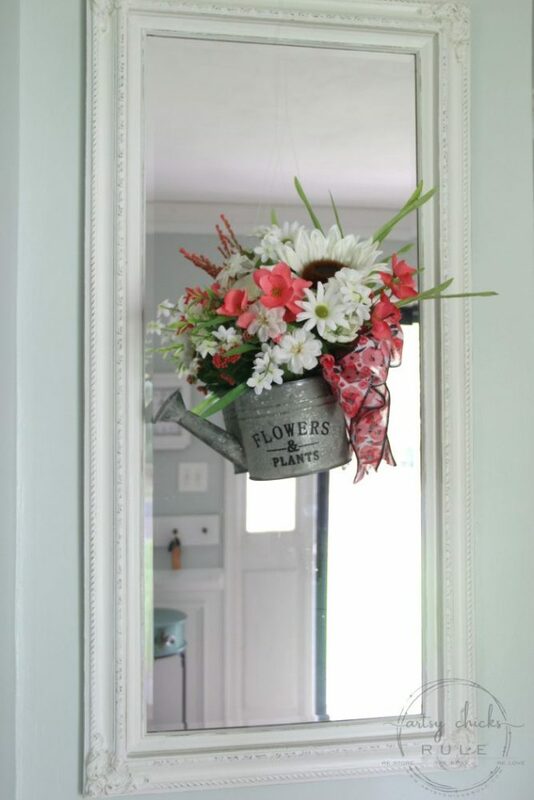 On the mirror in my foyer…. 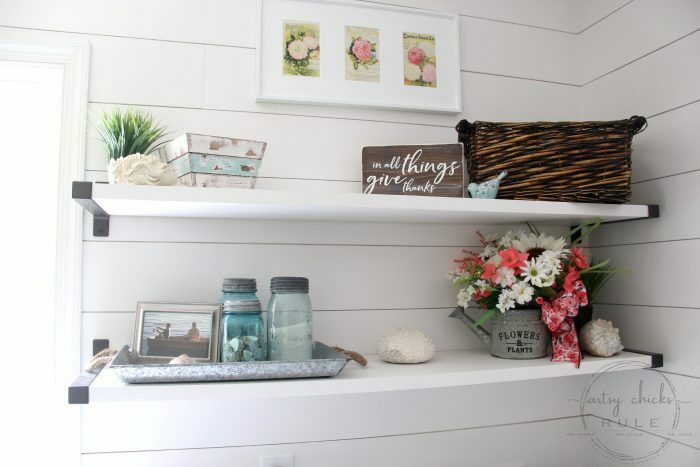 I love to use fishing line to hang things as it’s mostly invisible once up. 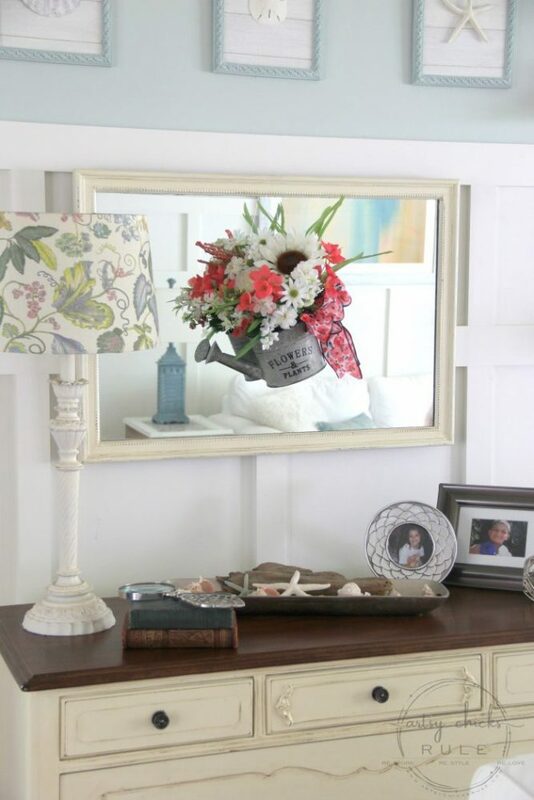 On the mirror in my family room…. 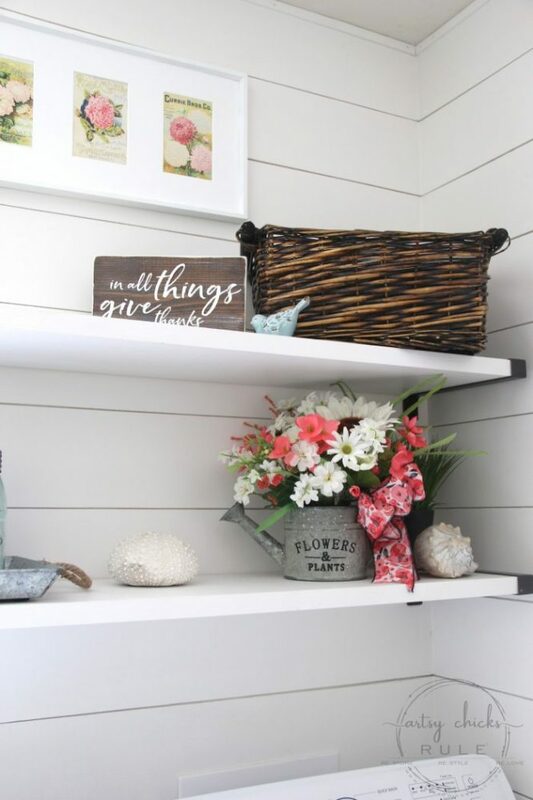 I even used it as a floral display, instead of hanging, in my laundry room…. 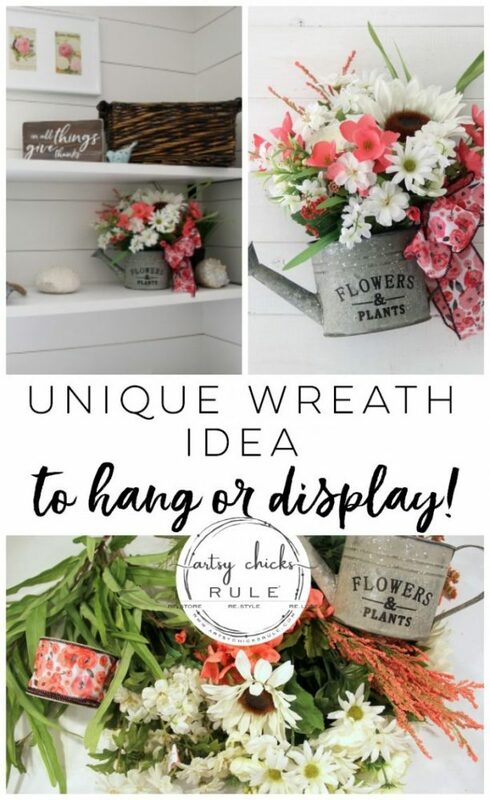 I love that this quirky and unique summer wreath idea can be hung or displayed. On the hall tree, on my front porch…. It was a thrifty find ($35) that I rescued, painted and have used out here for years. 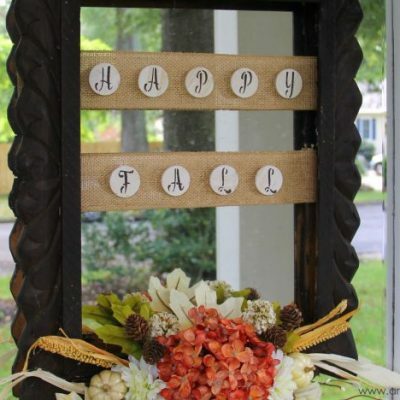 Simple and sweet and really easy to put together. 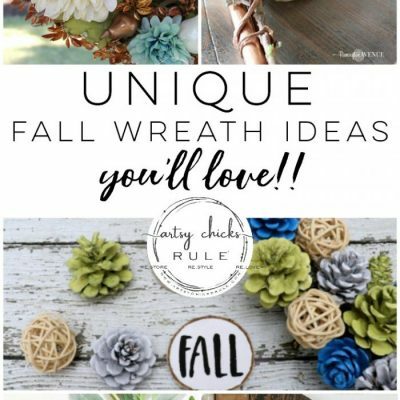 And a fun, quirky, unique summer wreath idea too! I hope this has inspired you to make something pretty for summer, too. 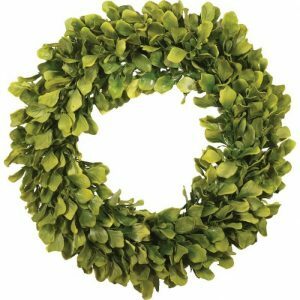 Be sure to go check out all the beautiful wreaths my friends have made below. 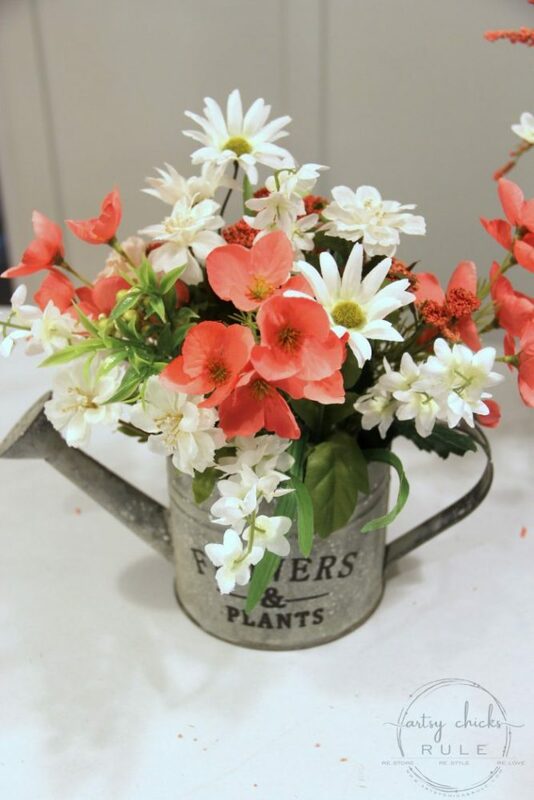 I hope you enjoyed all of the pretty inspiration for summer! Have a wonderful weekend, friends! 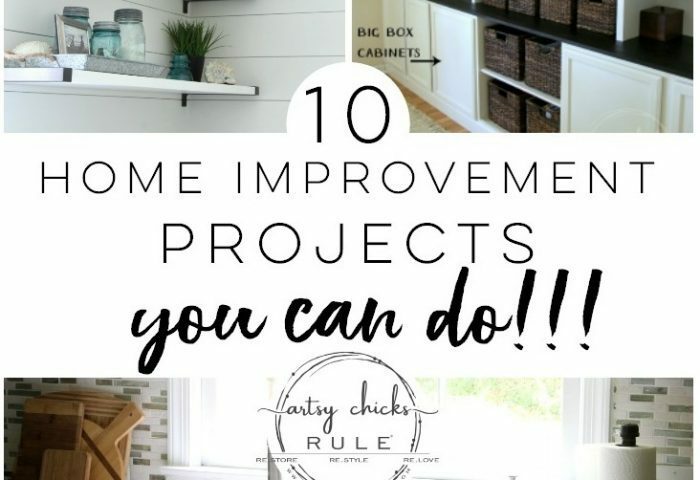 I’ll see you right here next week, back on my regular posting schedule with 10 DIY Home Improvement Projects…You Can Do! Update: See it now >>> here!! What a great idea, I love the colors you used. It screams cold lemonade on a hot summer day sitting on porch! 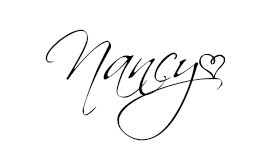 Sooo lovely Nancy! 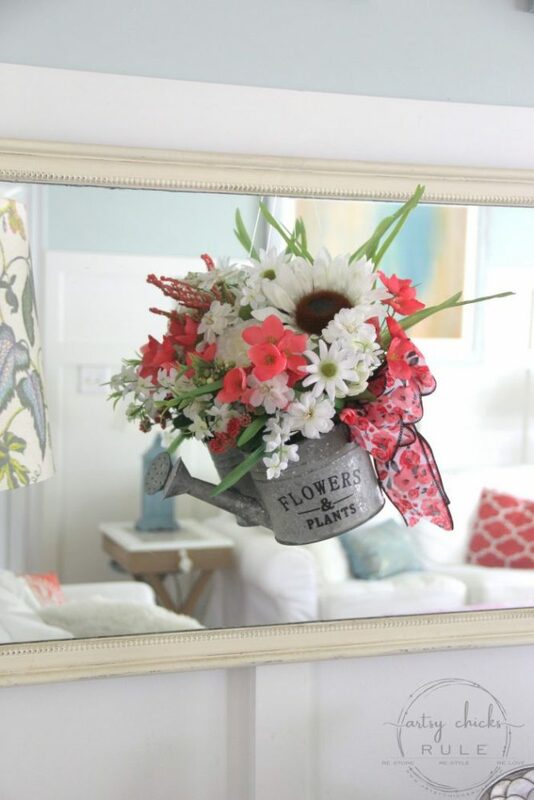 I love everything about this project…the can, the flowers, the colors, the arrangement…heck, I even like the bow! You sure thought outside of the circle on this one. I’d have a hard time putting it away when summer is over. SO pretty! 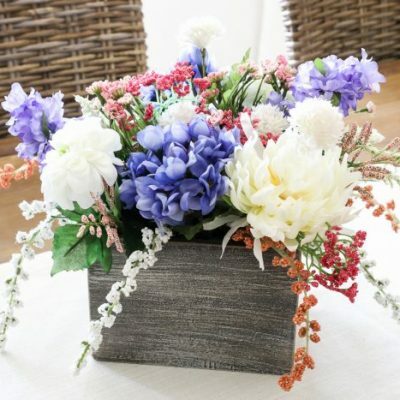 I love flowers in metal containers…it reminds me of a bucket of fresh picked flowers! 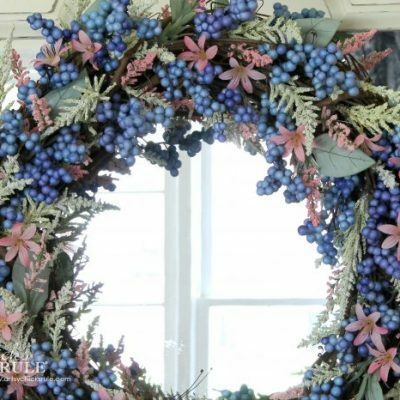 I love your unique wreath! 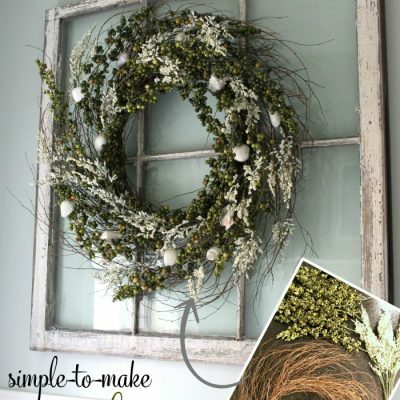 You know, I would have never considered myself a wreath maker either, isn’t that funny how things evolve! I also love how you can move this around as inspiration strikes! Beautiful and original, I love it! 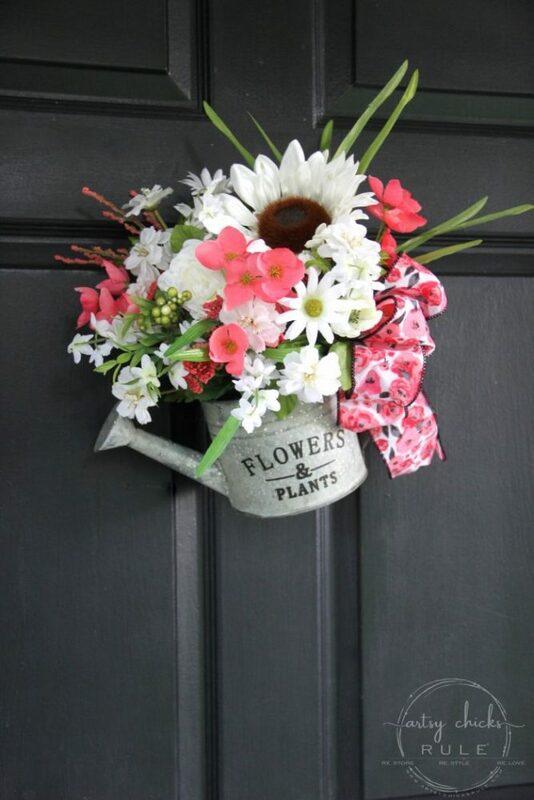 Love the watering can. Can you tell us where you purchased it, please? 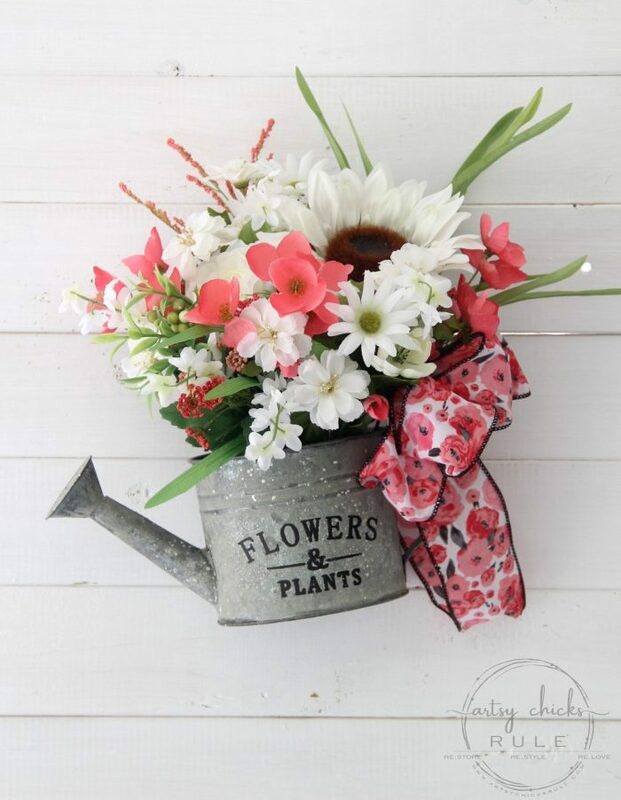 Love this – the watering can and flowers and so fun! 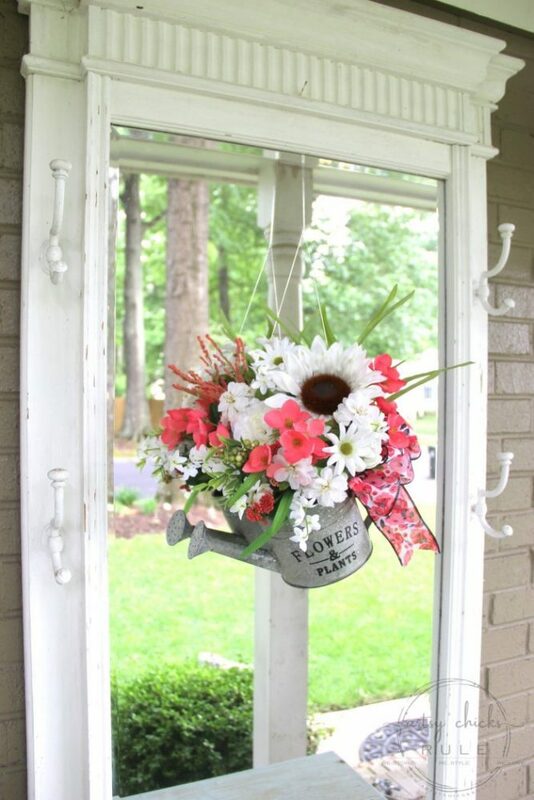 Such a cute little summer “wreath” /door decor idea! 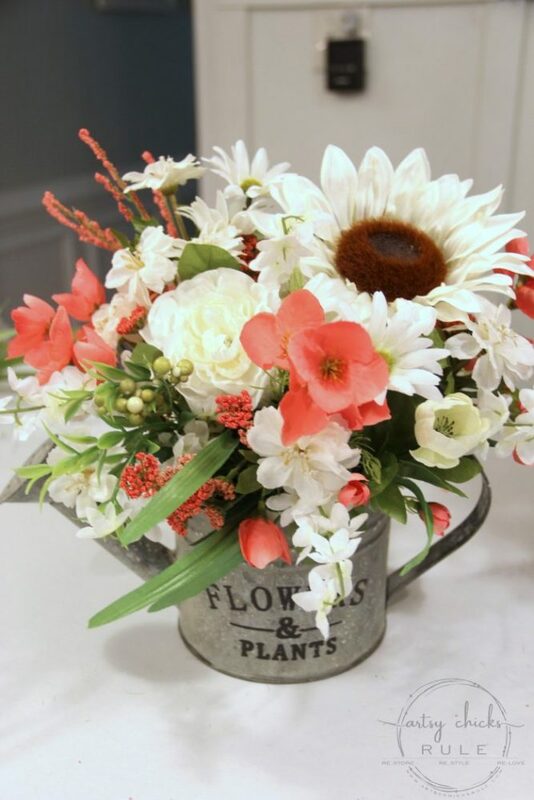 I love the watering can!! So glad you could join in this hop, Nancy!